David Jiménez Torres is Associate Professor at Universidad Camilo José Cela in Spain. He has taught at the University of Manchester and University of Cambridge, where he obtained his doctorate. He is the author of the monograph Ramiro de Maeztu and England: Imaginaries, Realities and Repercussions of a Cultural Encounter (2016). He is also a novelist and a columnist. Leticia Villamediana González is Senior Teaching Fellow in Hispanic Studies at the University of Warwick. She has taught at Queen's University, Belfast, where she obtained her doctorate. Her monograph Anglomanía: La Imagen de Inglaterra en la Prensa Española del Siglo XVIII (2019) focuses on the study of anglomania and anglophobia in the Spanish press and their contribution to Spain’s programme of Enlightenment reform. 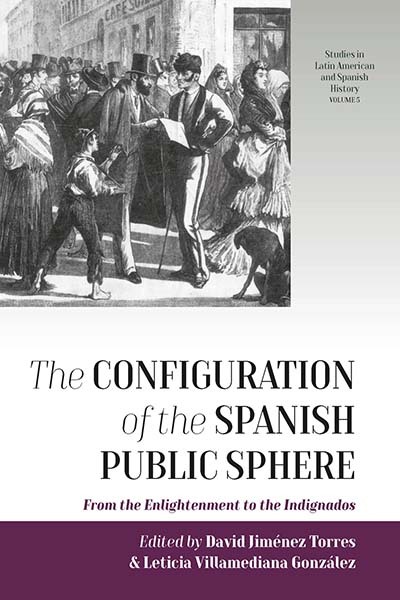 Introduction: A Spanish Public Sphere?